This applies to AvaZinn.com and any site owned and/or operated by Aeverine Zinn Holdings (herein referred to as “We,” ‘our,” “us”), or managed by Aeverine Frathleen Nieves (herein referred to as “author”). 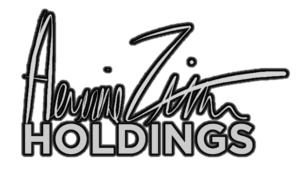 Aeverine Frathleen Nieves and Aeverine Zinn Holdings respects each individual’s right to personal privacy. We will collect and use information through our Web site only in the ways disclosed in this statement. This statement applies solely to information collected at AvaZinn.com. AvaZinn.com collects information through our Web site at several points. We collect the following information about primary visitors. We may also collect personally identifiable information which users divulge about other people. AvaZinn.com does not actively market to children, and we never knowingly ask a child under 13 to divulge personal information. We collect general data that is not personally identifiable information. We collect demographic data in order to serve readership better. We collect this information through various methods, such as registration forms, click-stream tracking, automatic logging files, and so on. The information is collected automatically. To receive our products and services, some information is mandatory because we need to contact and/or send physical items to you. Other information we request is optional. We employ cookies. A cookie is a small text file that our Web server places on a user’s computer hard drive to be a unique identifier. Cookies enable AvaZinn.com to track usage patterns and deliver customized content to users. Our cookies usually have an expiration date. Our cookies do not collect personally identifiable information unless provided voluntarily by the user. Advertising appearing on our Web site may collect information when you respond to the ads. Third parties may collect some information from this. The information collected by AvaZinn.com will be used for improving user experience. Users who provide information may receive products, services, email announcements or advertisements. Registered users will receive additional announcements from us about products, services, special deals, and/or a newsletter. Out of respect for the privacy of our users we present the option to not receive these types of communications. The information we collect will not be used to create customer profiles based on browsing or purchasing history. We will not supplement information collected at our Web site with data from other sources such as credit history to authorize purchases. We may share data with the following third parties, including shipping companies, credit card companies, and others required to provide services. These third parties will use the information to provide those services. Users may opt out to have their information shared with third parties. We offer links to other Web sites. Please note: When you click on links to other Web sites, we encourage you to read their privacy policies. Their standards may differ from ours. Our Web site offers or may offer chats, forums or message boards. Please be advised that information posted in these venues becomes public knowledge. If our policy on information collection or uses changes, will advise you by altering this policy. AvaZinn.com maintains the accuracy of our information. Users may contact us about inaccuracies they may find. Users may delete their information from our database by using the contact page on this site. If problems arise, users may contact Aeverine Frathleen Nieves by using the contact page on AvaZinn.com. We are committed to resolving disputes within 30 business days. AvaZinn.com protects user information to the greatest extent possible. Please contact us if you have any additional questions about this policy. Our website address is: http://avazinn.com. © 2012 – 2019, https:. All rights reserved.